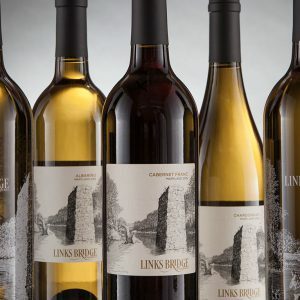 The “we” in what follows is us: Joan Cartier and Robert Thompson, owners of Links Bridge Vineyards. 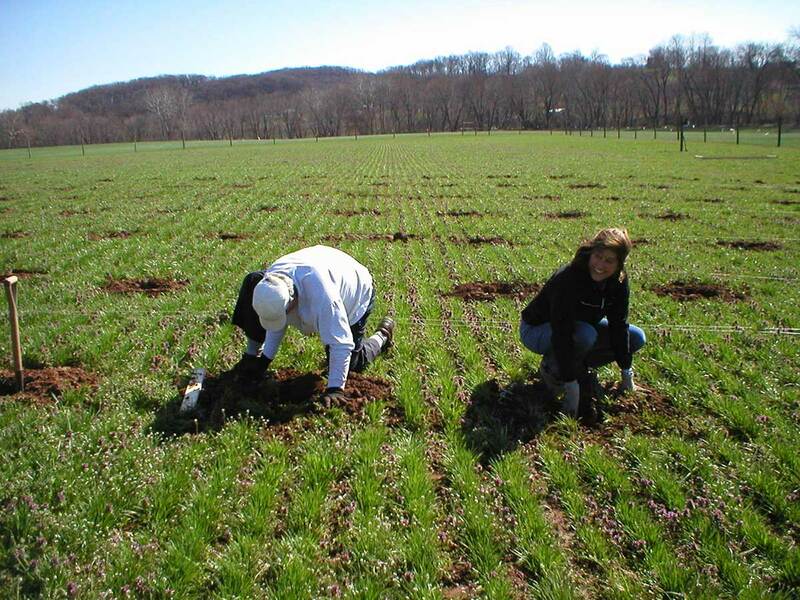 In 2003, we acquired some land and a small cabin on the Monocacy River near Utica, Maryland, just north of Frederick. 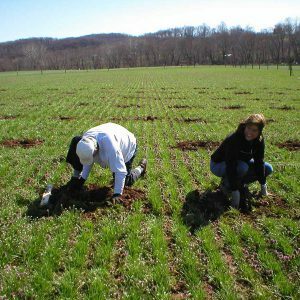 Part of the property was forested, but about 10 acres was good for farming. These we leased to our neighbors Mehrle Ramsburg and Sam Roop, who grew wheat, corn, and soybeans there. 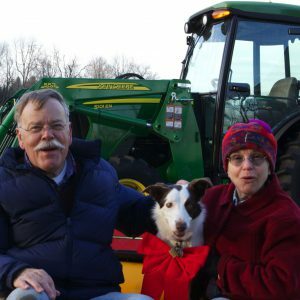 We enjoyed watching their farming operations for several years, but always had at the back of our minds that someday we would try farming on our own. 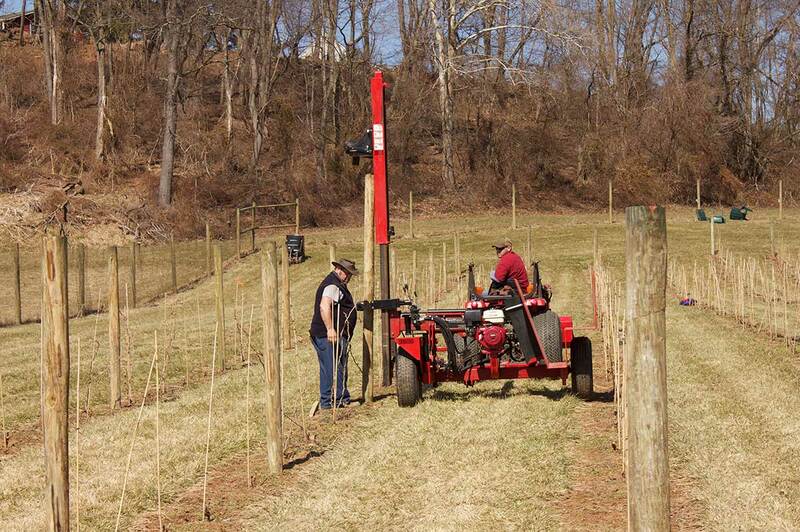 Impressed by the growing winery industry in Maryland, we investigated the idea of growing wine grapes on our property. Our idea was to sell our grapes to local vintners. 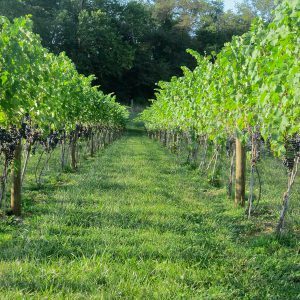 We read everything we could on the subject of viticulture, began attending meetings of the Maryland Grape Growers Association. Soon we were hooked. 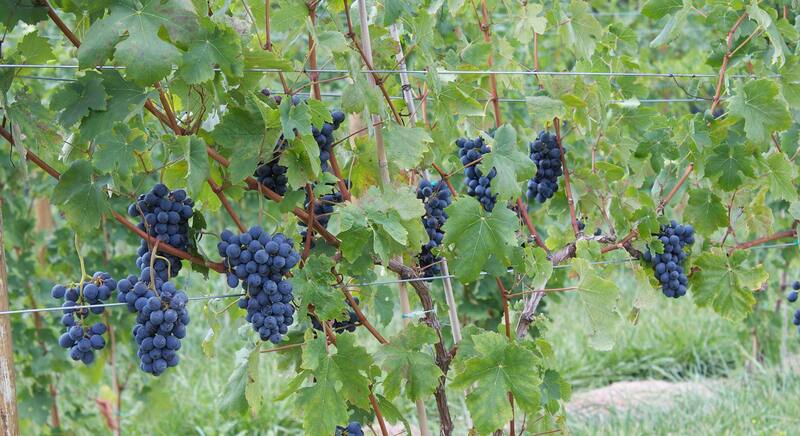 The vines flourished, giving us a small crop in 2010 for home-made wine and larger crops from 2011 onward. 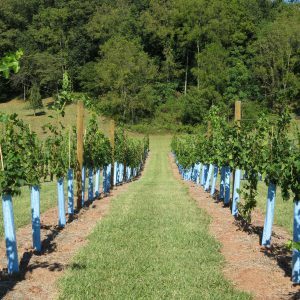 In 2011, we began selling all of our fruit to the then newly-established Old Westminster Winery over in Carroll County. 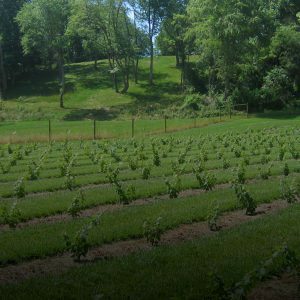 From its beginning, Old Westminster has used its own grapes and those of a few other growers, including ours, to make award-winning wines that have been praised by Baltimore- and Washington-area wine writers. 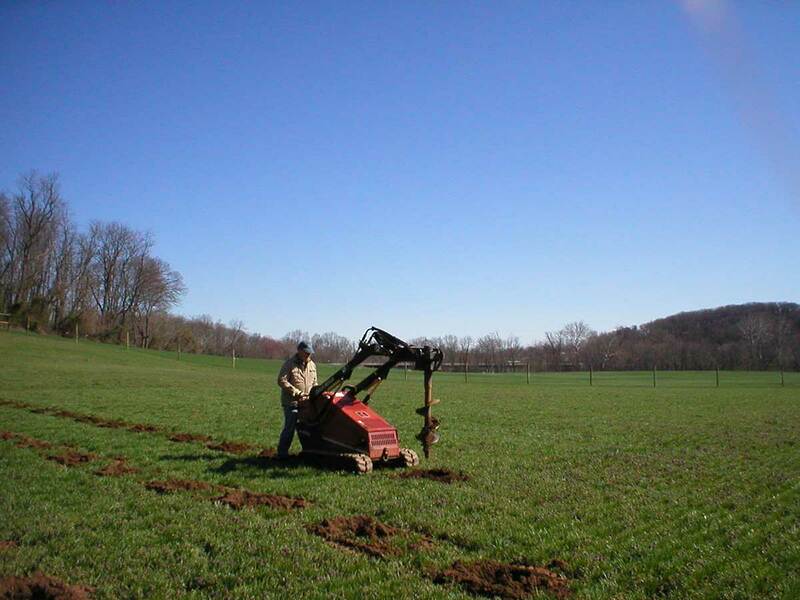 During all this time, we lived in the D.C. area and worked on our one-acre vineyard on weekends. Toward the end of 2013, we moved to the farm full-time, and soon we increased our vineyards to a total of four acres, adding an acre of albariño, nearly an acre each of chardonnay and merlot, plus small plantings of cabernet sauvignon and petit verdot. 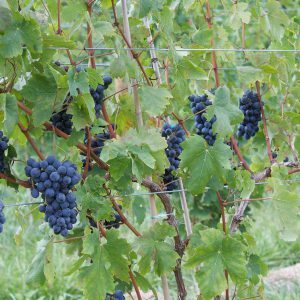 At about the same time we also decided to become a farm winery, producing wine on our own account instead of selling our fruit to others. 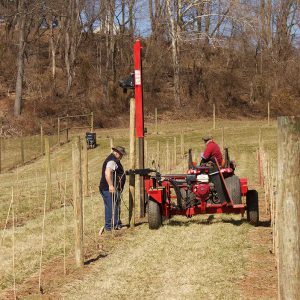 In 2015, we began renting space and equipment to make our wines at Maryland Wine Cellars. Over the past two years we have relied significantly on and appreciated the expert help of Lisa Hinton and Drew Baker, MWC’s winemaker and viticulturist, respectively. 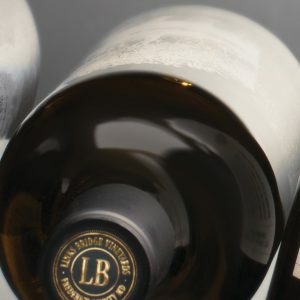 We have also benefited greatly from consultation with Lucien Guillemet, proprietor of Château Boyd-Cantenac in Margaux, whose main occupation is producing delicious grand cru wine in Bordeaux, but who also advises a number of mid-Atlantic wineries. 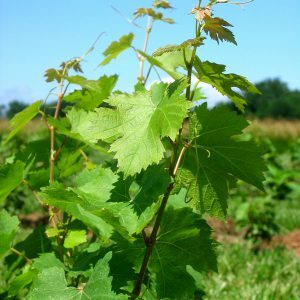 Up to this point, we have learned that the whole winegrowing and winemaking cycle, from pruning vines in early spring all the way to bottling (and drinking) the wine one to two years later or more, is an activity that amply repays the effort involved, bringing each year both an exciting sense of renewal and a satisfying sense of completeness. In short, we like it and are intent on continuing down the path we’ve chosen. Here’s where that path is leading us. 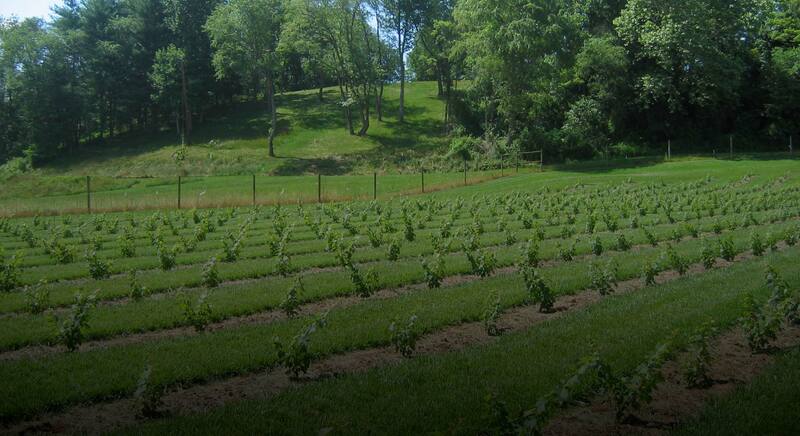 In the near term we will add about one acre of vines to our present four, keeping our overall vineyard area small. This will enable our family and a few employees to give personal attention to every vine. And we’ll be able to maximize the quality of our wines by producing them in relatively small batches. 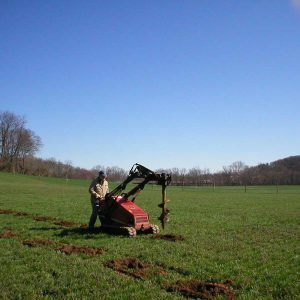 We have also been working for the past two years to build a winery here at the farm that, though small, will be big enough to make wine from all the fruit we can grow. With an on-site winery, we will be able to process all those small batches of fruit without a significant lag time between harvest and processing operations. 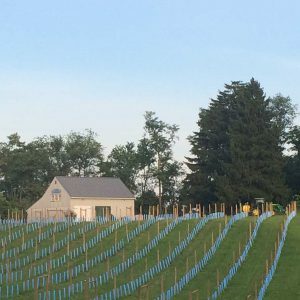 In addition, to provide a space where people can taste and buy the wine we’ve produced, we’ve been renovating an existing barn that stands next to the new winery building. We’ve added insulation, interior paneling that preserves the look and feel of the barn, a kitchen, a couple of restrooms, air conditioning, a counter, and some tables. Except for a few finishing touches, we’ve completed the work on both buildings. The last of what seems like dozens of building inspections has been passed successfully, and we’re ready to open at the beginning of March 2018. That means that you are now part of where we’re heading. 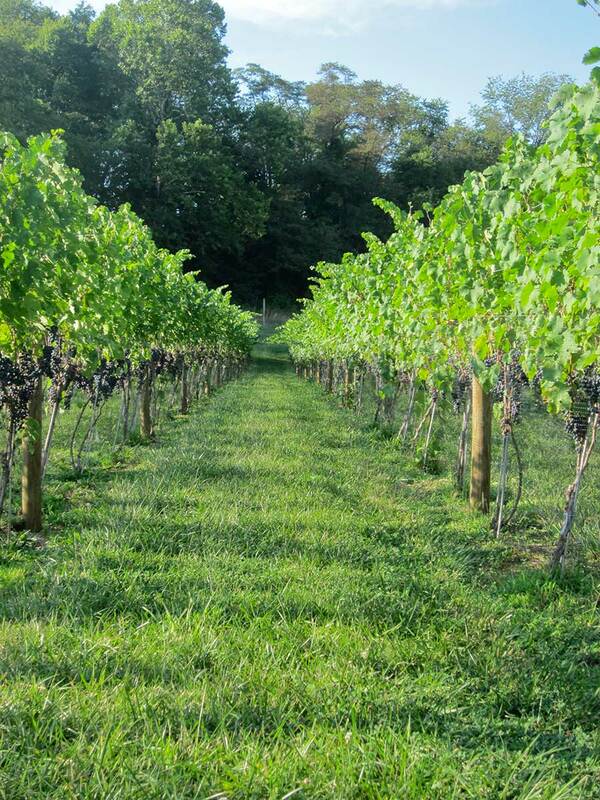 We hope to meet you soon at Links Bridge Vineyards!